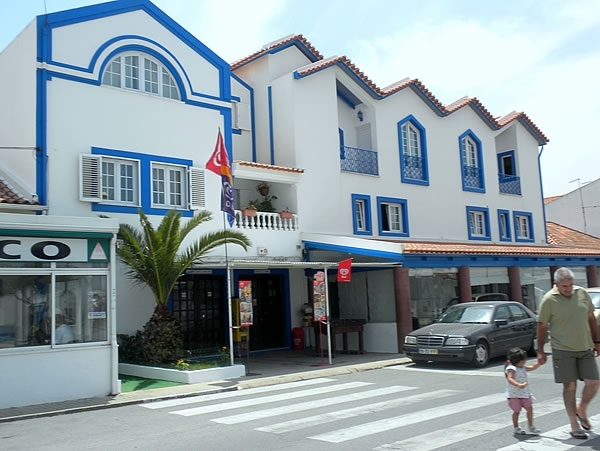 The Mar e Sol Hotel is located Vila Nova de Milfontes Main Avenue, and thus has a privileged location. Near the hotel you can find a vibrant trade, which offers several possibilities: shops, restaurants, cafes, ice cream shops and supermarkets. All that is needed to make your stay in Vila Nova de Milfontes even more enjoyable is within short steps. The hotel itself has a restaurant, where the emphasis is on traditional food. The Mar e Sol Hotel has single and double bedrooms completely equipped with private bathrooms, Wi-Fi, air conditioning and TV.